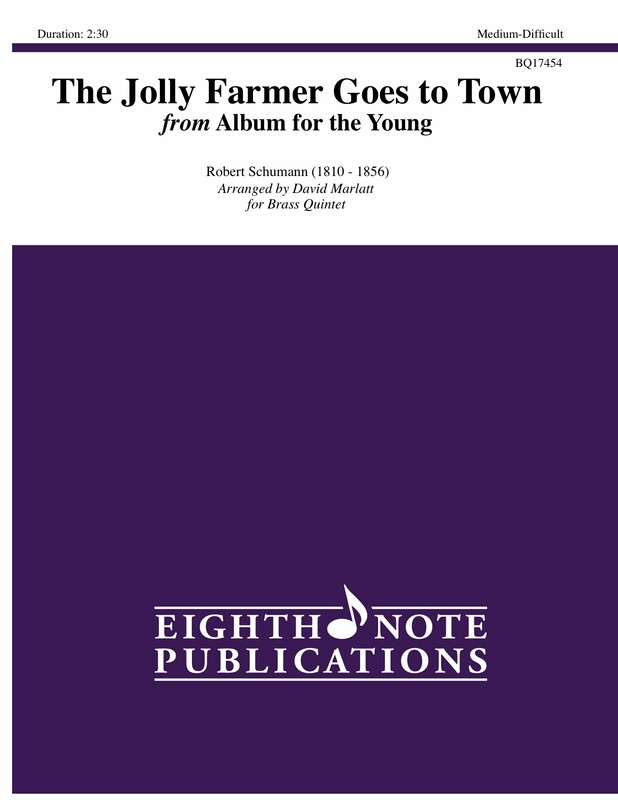 The Jolly Farmer is a short piano work by Schumann found in a collection he wrote for his three daughters. Since this melody in played predominately in the left hand on the piano, various arrangements have been created featuring low voices in orchestras and bands. William J. Bell, a tuba player, decided to compose a short theme and variations based on this famous melody. The result has become an absolute standard amongst developing tuba players. It features the original melody and ornamented variations including the final one featuring some optional triple tonguing.